Premier 7 oz Soy Jar Candle - Perfect size for any room and available in all fragrances. 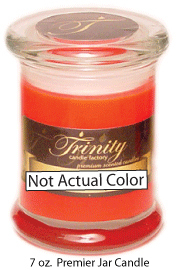 Super scented, clean burning candle! When the candle is done, this glass doubles as a perfect juice/beverage tumbler!